The identity of Signa is closely tied to water. The Arno, on the banks of which the town sits, has brought commercial opportunities and prosperous exchanges. The bridge over the river, built in 1120, was long the only one between Florence and Pisa, and was fundamental for economic development in Signa. But the river is also nourishment, as the historic straw harvesting attests to. Thanks to the intuition of an entrepreneur, beginning in the 1700s, the town began to collect this fruit of the land, which soon became a precious material for making hats. The art of weaving grew massively and quality was of the utmost importance, so much so that Grand Duke Cosimo I commissioned some hats for various European rulers. If you want to learn about the journey that brought Signa to become recognized throughout the western world, visit the Museum of Straw and Weaving, home to a dedicated collection of hats and a display of the tools and machinery used for making them. Water has also always been considered fundamental for life, often associated with pleasant, restorative and relaxing feelings. The perfect place for those seeking a bit of quiet is Renai Park, an area protected by the WWF that boasts a lake where you can admire nature and go for a refreshing swim. Restless, on-the-go visitors will also love it here: there are plenty of occasions for movement and action, with trails for hiking, biking and horseback riding, as well as opportunities to play sports, both on land and in the water. 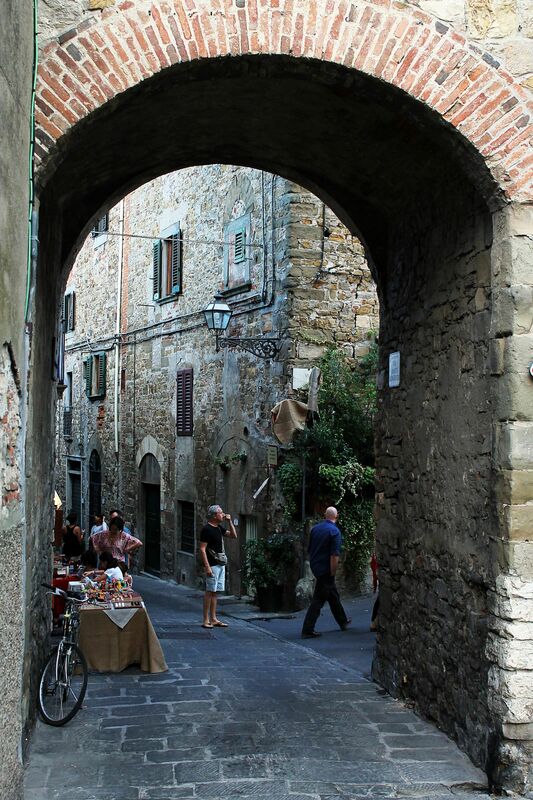 Signa, with its ancient history, is full of artistic and cultural sites, like centuries-old buildings that speak of the town’s past. Visitors should definitely see the castle, in the upper part of the town. Its churches also contribute to defining Signa’s identity, like the Church of San Giovanni, home to the remains of Blessed Giovanna, highly venerated throughout the local area and whose life is illustrated in the frescoes here. Then there’s the Parish Church of San Lorenzo, which conserves frescoes by the Master of Signa and Pietro Nelli, as well as a wooden chest where the remains of Giovanna were discovered.